Come to Alpine Haus Bed and Breakfast Inn for your vacation in New Jersey and discover so much…so close! Bordering on Orange County, New York, our area includes the best of both states in the Skylands/Hudson Valley area. “We never knew New Jersey could be so beautiful!” We hear comments like this quite a bit. Come experience our country inn and revel in the beauty of the area’s rolling hills, horse farms, lakes and scenic views. With so many activities, there is plenty to fill up your bed and breakfast getaway, no matter what the length! Not sure what’s in the area? We have a wide selection of brochures available upon your arrival. Let us assist you in planning your activities in and around Vernon, NJ. We can provide concierge services with a wide variety of itinerary suggestions based on your interests. Your itinerary can be sent to you prior to your arrival, or it will be waiting for you at check-in. Also, we are always available for restaurant recommendations and reservation services. Lafayette Crossing– 90 antique dealers, specialty shops, restaurants all within walking distance, Route 15, Lafayette. Hours 10am-5pm Closed Tues & Wed. Above the Clouds – Fully insured hot air balloon rides May – October. Paulinskill Trail – The Paulinskill Valley Trail (27 miles) and the Sussex Branch Trail (20 miles) are part of Kittatinny Valley State Park. The rail trails have had the tracks removed, leaving a nice cinder bed path. 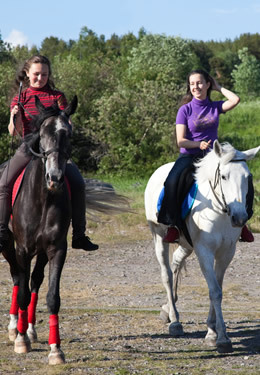 Other than a few road crossings, the trails are level and offer an easy place to walk, cycle, and horseback ride. Those interested in railroad history or nature will enjoy using these rail trails. Alpine Haus Bed and Breakfast Inn is closest to the Warbasse Junction section in Lafayette, NJ. Directions: Route 94 south to Lafayette. Cross Route 15, continue a quarter of a mile on Route 94 and make a left onto Route 663. Go a quarter of a mile on Route 663 and make a right into the parking area. Mountain Creek Bike Park – Extreme mountain biking. Take your bike on an open air gondola to the top of the 1040 ft mountain. They have 45 downhill and free-ride trails with 60 features. Wawayanda State Park – More than 60 miles of mountain bike trails including 19 miles of the Appalachian Trail. Picnic facilities available with charcoal grills. Wallkill River National Wildlife Refuge – bring your own canoe or kayak. Access to Wallkill River. Wawayanda State Park – 225-acre lake. Canoes, rowboats (with or without electric motors) and paddleboats may be rented or bring your own (no gas engines). See above. Alpaca farm on 5.6 acres. Quality fashions made from the alpaca fiber. 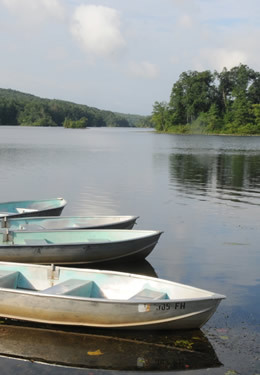 First-rate fishing is available at Waywayanda and High Point State Parks. They stock the lakes with large-mouthed bass, trout, and other species. Fishing licenses are available close-by. See State Parks. Award-winning golf courses most within 15 minutes. 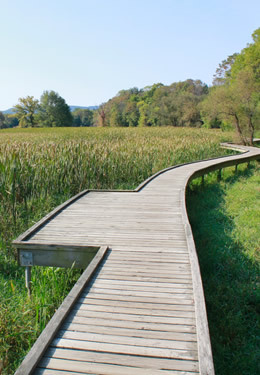 Wawayanda State Park – More than 60 miles of hiking trails including 19 miles of the Appalachian Trail. Bring a picnic to eat at the tables on the park grounds, or pack a lunch for your hike. High Point State Park –The park is at the highest elevation in New Jersey at 1,803 feet above sea level and offers more than 50 miles of hiking trails. 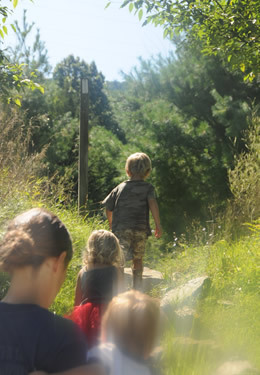 Stokes State Forest – Hike to the top of Sunrise Mountain for panoramic views of the beautiful surroundings. The Appalachian Trail – The infamous Georgia-to-Maine trail runs through the heart of Vernon. It offers a unique hiking experience in one of the most dramatic scenic environments of this trail’s entire 2,168-mile length. Hikers can access the trail from a number of parking areas. Hike up The Vernon Steps, a steep ascent to the top of Wawayanda Mountain where there are numerous outstanding views of the Kittatinny Ridge and beyond. For a more relaxed hike, walk across the valley and Pochuck Creek Floodplain on a boardwalk and over a suspension bridge. Wallkill River National Wildlife Refuge – Three nice walking trails, each from 1.5 to 2.5 miles. One provides canoe and kayak access. Treat yourself to massage: relieve stress, feel total relaxation. A great way to start a vacation getaway! Experienced in several forms of massage, Elaine’s expertise in Therapeutic Massage has enabled many clients to experience relaxation and pain relief. Call for an appointment 973-534-7478. Friar Mountain Model Railroad Museum – 240 Demarest Rd., Sparta, NJ 07871 (973) 579-9833 Open 10am-5pm: Jan 1-Mar 31 Sat & Sun only; Apr 1-Dec 31 Wed to Sun. Snow Mobile Barn Museum –90 years of snowmobile history. Great collection of more than 130 sleds and thousands of assorted collectible items. Wawayanda State Park – Offers hiking, mountain biking, Wawayanda Lake with its white sandy beach, playgrounds, and picnic facilities. Boat rental available onsite. High Point State Park – Located at New Jersey’s highest point, the park features the High Point Monument. Visitors can climb the stairs up the 220-foot structure for a breathtaking view of the Pocono and Catskill Mountains and Wallkill River Valley. The 20 acre lake has a beach with lifeguards, a bathhouse and food concession. Picnic facilities with charcoal grills. Hiking is available on more than 50 miles of trails. Stokes State Forest – Sunrise Mountain offers panoramic views along the Appalachian Trail. If you prefer not to climb the mountain, you can drive to the pavilion at the top. Great place to take a picnic lunch. Pasta Primo – tour 9 wineries, taste wine and delicious pasta recipes. 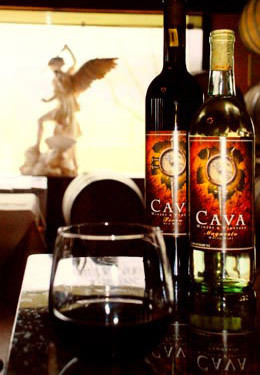 Each winery becomes a different country serving native dishes and the vineyards wines from the Shawangunk Wineries. Admission fee includes all wineries and a Wine Trail wine glass. Crawfish Festival – 15,000 lbs of crawfish, jambalaya, shrimp, catfish, grilled alligator and great music. Sussex County Fairgrounds. Bounty of the Hudson Food & Wine Festival – You can visit the eight wineries on the trail as well as others from the Hudson Valley. Enjoy fresh food, farm fresh produce, cooking workshops and Live Music! New Jersey State Fair/Sussex County Farm & Horse Show – First week of August – Areal country fair with horse & livestock shows, tractor pulls, carnival rides, crafts, talent shows, music and great food. 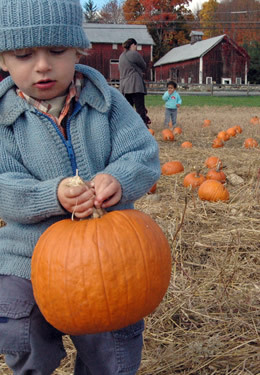 Warwick Applefest –First Sunday in October – country fair during the apple harvest; apple foods, arts, crafts, music and games inWarwick. 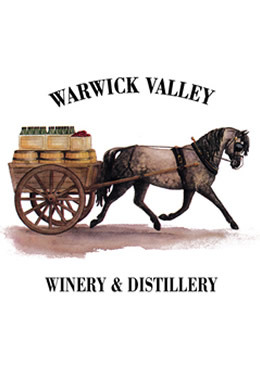 Wreath Fineries @ 8 Wineries – This Holiday Event is a great way to start the holidays with friends visiting the Shawangunk Wine Trail’s eight wineries. Admission includes a wine tasting glass. You also receive a grapevine wreath that you then take to each winery to receive an ornament to decorate your wreath. Enjoy Holiday food and specialty Wines. Olde Lafayette Village – Quaint country shops with some name brand outlets in New England Village setting with restaurant. Downtown Warwick – quaint village center, enjoy a stroll down Main St & Railroad Ave with gift shops, eclectic clothing stores, antique shops & cafes. Sugar Loaf Art & Craft Village – Arts and crafts village, more than 55 shops, galleries & restaurants. Quaint village where shops are in the old houses. Woodbury Commons – largest premium outlet center in the northeast. Mountain Creek Ski Resort – Located directly next door to Alpine Haus Bed and Breakfast Inn with skiing, snowboarding and snow tubing on a total of four peaks covering 167 acres, including night skiing, snowboarding, and snow tubing. See Specials and Packages for Ski & Stay Packages. Hidden Valley Ski Area – Located 5 minutes from Alpine Haus Bed and Breakfast Inn. Skiing and snowboarding in an environment that is family friendly and emphasizes learning and fun. Each trails ends at the same base area, and the lessons programs and skiing terrain offer something for everyone, at every ability level. Ski on 14 trails with an elevation of 1,435 feet. High Point Cross Country Skiing & Snowshoeing – Located in the beautiful High Point State Park. More than 15km of groomed ski trails and 8 km of snowshoe trails. Rentals and lessons available, even baby back carriers. Cozy lodge with fireplace and food. Ice skating on the lake (ice permitting). Check web site for operating schedule. Skylands Ice Word – Two regulation size ice rinks with viewing from a second floor enclosed restaurant and game area. Skate rental available. For public skate times visit the web site. Mountain Creek Waterpark – Located directly next door to Alpine Haus Bed and Breakfast Inn. See Specials & Packages for special deals. Enjoy more than 2-dozen water rides, slides and pools on over 39 acres. Beat the heat with fun for every one of all ages including a Half Pint Harbor for the little ones. Newly added is the Alpine Mountain Coaster. This is a cross between an alpine slide and a twisting roller coaster. These are coaster cars with 2 seats. They are self controlled as you ride down the mountain, twisting and turning through the Waterpark to the bottom of the mountain. Mountain Creek Resort – Zoom Zip lines – The newest adventure sport to be added to Mountain Creek. Zoom Zip lines glides over four mountain peaks covering 167 acres. You access dual zip lines through trails and a suspension bridge. You will be 200 feet above the ground on the longest zip line at more than 1500 feet in length, with 350 ft of vertical drop from start to finish. You could be flying at speeds up to 50 mph. West Point Military Academy: Beautiful campus overlooking the Hudson River. Guided bus tours, visitor center and museum. Winery Tours – Get a group of friends together to spend the day sampling wines from a few of the local wineries without the worry of driving. We have local companies that will spend the day with your group chauffeuring you to your choice of wineries.